Cleaning services, lawn services, garden services ads in Melbourne. Thank you for visiting our free advertising website Cleaning services, lawn services, garden services, Melbourne section. We provide high response free classifieds and free advertisement. Use our online free Cleaning services, lawn services, garden services classifieds placement system to find, list, offer Cleaning services, lawn services, garden services online! Diamon Clean is a well-known spring cleaning service provider in Melbourne. We provide customization for cleaning so that you can tell your specific needs. Our team knows how to deal with unwanted or undesired allergens and odours. Our team members will give you spotless service including office pantries, bathrooms, meeting rooms, wall, fans etc. Are you looking for cleaning company in low budget? Call the VMap Cleaning. We at VMap Cleaning have 10 years experience as cleaners in Melbourne. We are expert in commercial & residential cleaning services that covers end of Lease, House, Upholstery and Office Cleaning Services in Melbourne. You can be confident with VMap Cleaning that we will provide the best possible cleaning services. Looking for tile and grout cleaning Solutions? Diamond Shine Pressure Cleaning provides long-lasting floor cleaning services in Melbourne at a very competitive price. Visit DSPressureCleaning & Get your free estimate. https://www.dspressurecleaning.com.au/bathroom-tile-cleaning/#Tile-And-Grout. Get an amazing new look to your whole property’s exterior elements such as walls, driveways, fences, and paver by high-pressure cleaner perfectly with DSPCleaning. Diamond Shine Pressure Cleaning company is a team of cleaning experts based in Melbourne, Australia..
We use no mess and non-dripping cleaning agents and guarantee no damage and stains on the building face work and fitting equipments. Bull18 Cleaners cleaning equipment is extremely safe and eco-friendly. We are aptly equipped to take up cleaning works for high-rise apartments. To know more: https://www. 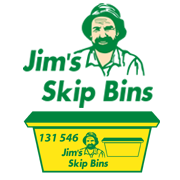 Are you need to hire Skip Bins in the Dandenong area? Then Roobins Bin Hire is the best destination for you. We offer good quality skip bin hire, which are high in resilience and functionality. Our Skip Bins comes to different sizes, designs, easy access, and environment-friendly. Our team is courteous and friendly and provides you proper advice on bin collection safe methods and, secure garbage disposal process. Diamon Cleaning is one of the top industrial cleaning service providers in Melbourne. Cleanliness plays an important role in increasing the productivity of workers as it ensures safety and maintains good health of workers as well as visitors. We have experts to give you factory cleaning with the detailed solution and specific needs under your budget. End of Lease Cleaning Melbourne. We provide heaps of different cleaning solutions for all your needs from carpet cleaning, end of lease cleaning, bond back cleaning and other cleaning services at affordable rates. Call us Now at 1300 997 289. https://www.highpowercleaners.com.au/. If you want to do clean your office at modest prices. Then no need to go anywhere. Here Sparkle Office provides the best office cleaning services in Melbourne. For more info visit our website. https://www.sparkleoffice.com.au/. Are you looking for gutter cleaning experts in Melbourne and Eastern Suburbs? Then Himalayas Group is an expert in gutter cleaning and roof cleaning services for commercial and residential areas. Our gutter cleaners having well experience and uses latest gutter cleaning equipment and tools to solve issues. Give a new look to your Sofa, Carpet or Mattress with DS Pressure Cleaning Avail the most affordable #SteamCleaning services in #Melbourne. Visit http://bit.ly/2ISQpuO Request a free quote today. Dial 0430855073 / 1300928225. Are you searching skip hire service in Moorabbin for proper waste management? Then Roobins Bin Hire is the best place for you. We provide different size of skip bins, which are suitable for the removal of almost all types of material and you can use it for your domestic, building and landscaping needs. Looking for vacate cleaning services in Melbourne? Contact Melbourne Bond Back Cleaning. We are Melbourne based cleaning company having 10+ years of experience in cleaning. Our trained and professional cleaning experts can make sure that your home will be cleaned on giving time. Visit our website to know more our services and price. Looking for carpet cleaning services in Melbourne at an affordable price? Call VMap Cleaning. We at VMap Cleaning have a wide range of cleaning services for our Melbourne clients which help you clean their carpet. We always use the latest equipment at the time of cleaning carpet. Call us to know more about services and pricing. Australia free ads for Cleaning services, lawn services, garden services, Melbourne, Cleaning services, lawn services, garden services free ads Melbourne, Cleaning services, lawn services, garden services for sale Melbourne, Cleaning services, lawn services, garden services to buy in Melbourne. Find on this page free classifieds for Cleaning services, lawn services, garden services in Melbourne. This listing includes classifieds for sale and to buy in Melbourne. FREEADSAustralia Melbourne offers you a platform to post free advertisements or classifieds for Cleaning services, lawn services, garden services in Melbourne. FREEADSAustralia helps you search, find buy, sell, rent or hire in various categories like apartments, goods for sale, local services, cars , jobs and many more in Melbourne. If you posted an advertisement in category Cleaning services, lawn services, garden services of FREEADSAustralia Melbourne before please use Edit my ads button to change or cancel your ad. Cleaning services, lawn services, garden services Melbourne ads Melbourne, Cleaning services, lawn services, garden services classifieds Melbourne, Cleaning services, lawn services, garden services free ads Melbourne, ads for sale Melbourne, ads to buy Melbourne, FREEADSAustralia. Find here ads for sale, to buy and rent in Melbourne. Goods for sale in Melbourne, vehicles for sale in Melbourne, Melbourne real estate for sale, Melbourne property for sale, property for rent in Melbourne, business ads in Melbourne, Melbourne business classifieds, services in Melbourne, Melbourne services ads, jobs in Melbourne, pets for sale in Melbourne, Melbourne dating, Melbourne cars for sale.